*Date of birth, time of birth and place of birth are needed for calculation. After placing booking you will receive an email asking for the necessary information. A beautifully designed digital artwork showing the planets in their orbit around the Sun at the time of your baby/child's birth. 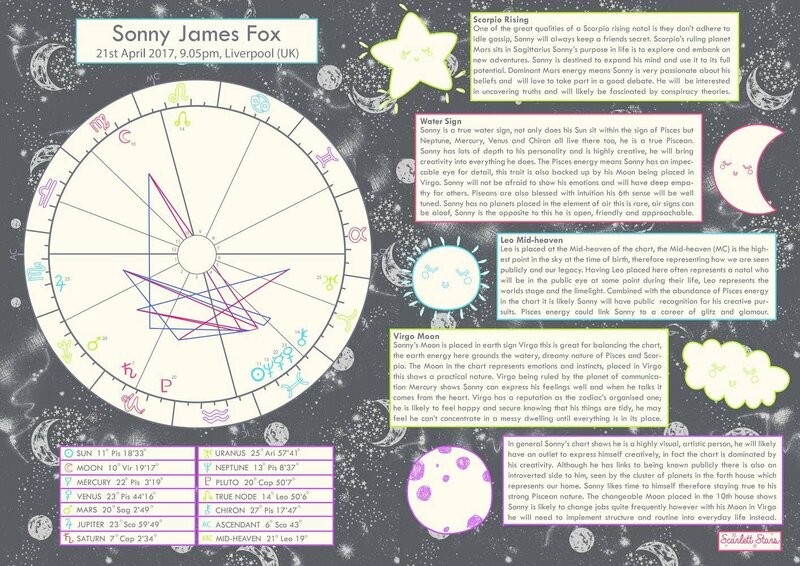 A classic astrological map of the sky design with planet positions and written details providing information on baby/child personality and positive opportunities for their life ahead. You will receive by post an A3 print out of the artwork page and the written detail page. Perfect gift for the birth of a child, a birthday, Christmas, christening and the like.